The Montgomery Village Foundation owns over 330 acres of parkland and green space for residents to use and enjoy. 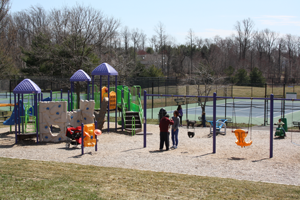 Many of our parks feature ballfields, tot lots, walking paths, tennis courts, basketball courts, picnic areas and nature observation opportunities. 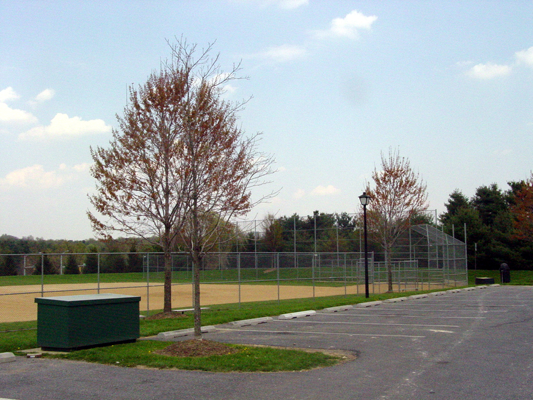 At the corner of Montgomery Village Avenue and Apple Ridge Road, this area features a baseball field and a parking lot. 10101 Apple Ridge RoadAdjacent to the Peggy Mark Pool, this recreation area also features a basketball court, tennis courts, soccer field, all-abilities playground, green space and a picnic pavilion. 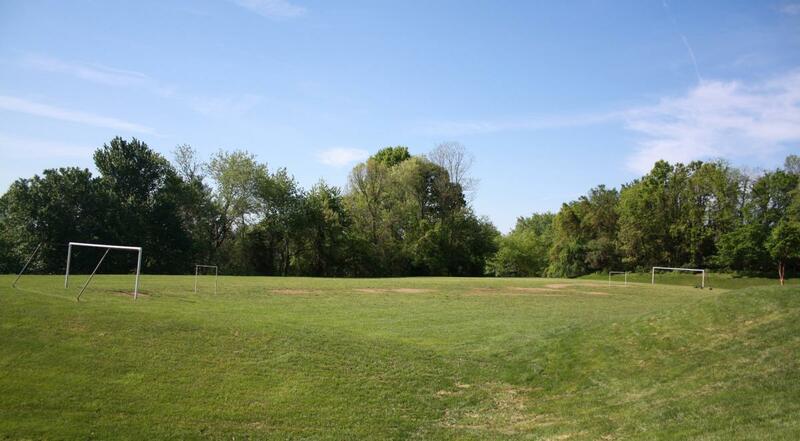 This 1.8-acre park is located off Montgomery Village Avenue behind the Clubside community. 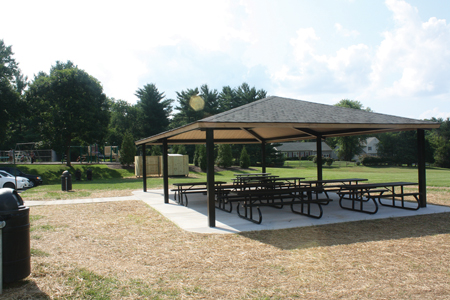 Facilities include a playground, gazebo and picnic tables. This 8.27-acre recreational area is located on East Village Avenue and is bounded to the west by the Ashford community. 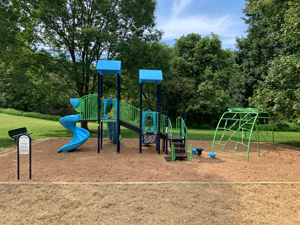 Facilities include a ramped handicapped accessible playground, four tennis courts, a parking lot, a 2-acre pond, and paved paths throughout the park. This area in Stedwick features tennis courts and green space. This 21.04-acre park is located on East Village Avenue adjacent to the Lake Marion Community Center. Facilities include a 3.1-acre lake, a gazebo, footbridges, park benches, picnic tables, grills and paved paths throughout the park. The area surrounding Lake Whetstone features picnicking, boating (with appropriate registration in-season), public boat rentals, fishing, volleyball, walking paths and nature study. 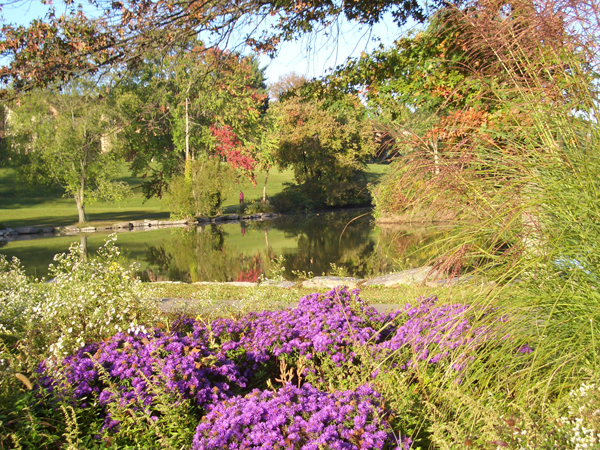 This 4.6-acre park is located off East Village Avenue on Cinnabar Drive. 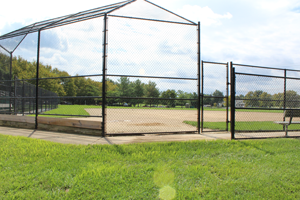 Facilities include a baseball field, tot lot, stone sitting area, basketball court, benches and a parking lot. 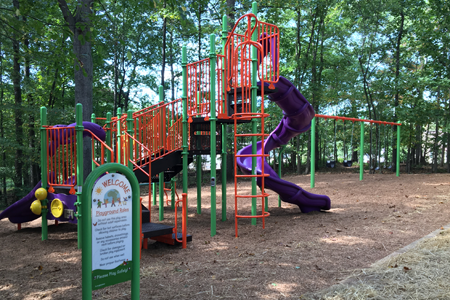 This playground area is located adjacent to the Shadow Oak community in Northgate. Facility includes a playground. 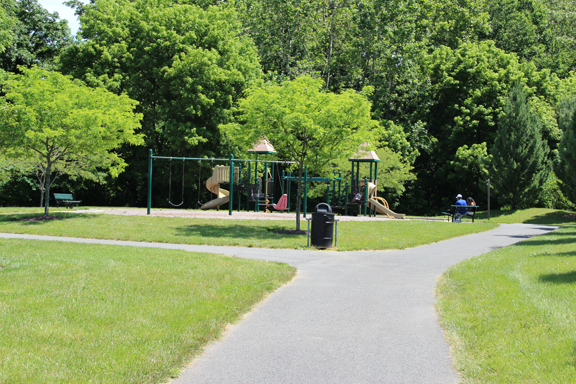 This 17-acre park is located between Warfield and Wightman roads and bounded on the east by the Salem’s Grant community. 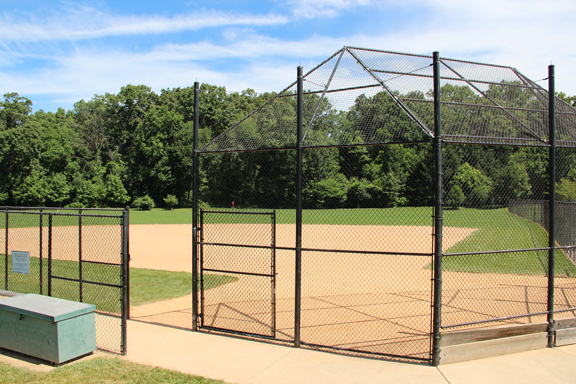 Facilities include a soccer/lacrosse field, a baseball/softball field, paved paths, a gazebo, benches, playground, pond, tree identification markers and a parking lot. A brochure for the self-guided tour for this park is available. The 5.1 acres of parkland adjacent to the MVF Office includes a soccer field, open green space, a wooded buffer area and a 36-space parking lot. Located at the corner of Montgomery Village Avenue and Arrowhead Road. 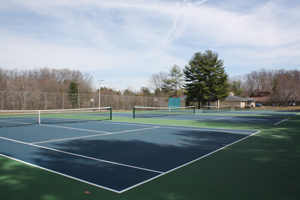 Recreation amenities at this location include lighted tennis courts, a tot lot, walking paths and nature study. This 83.7-acre park is located off Shadow Oak Drive. 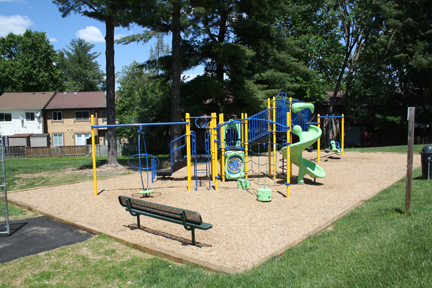 The park is bounded on the south by the Dorsey’s Regard community, to the north by the Points community, and to the east by Montgomery Village Avenue. Facilities include two tot lots, a nature center, a picnic area, a butterfly garden, a 6.5-acre lake with adjacent paved path, the North Creek Stream Valley and a parking lot. This 5.49-acre facility is located on Fulks Farm Road in East Village. 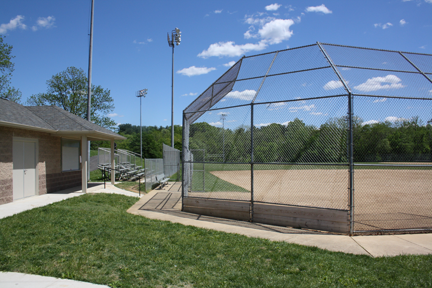 Facilities include a softball field, bleachers and a parking lot. 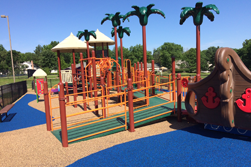 This .12-acre playground area is located off Welbeck Way between the communities of Picton and Essex Place. Facilities include a playground and drop-shot. 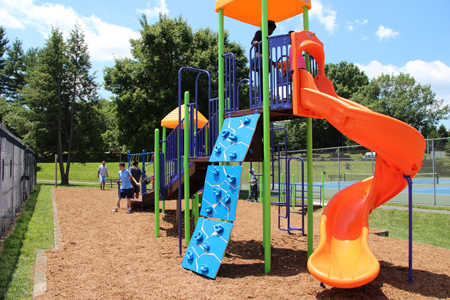 This 32-acre park includes the open space area bounded on the east by Montgomery Village Avenue, on the north by the Center Stage and Heron’s Cove communities, on the south by the Walker’s Choice community, and on the west by Watkins Mill Elementary School. Facilities include the Dr. Gordon W. Bowie Music Pavilion, lighted ballfields, a tot lot, creeks, ponds, picnic areas, gazebos, footbridges, paved paths and a parking lot. Located on Stedwick Road, just past Montgomery Village Middle School. 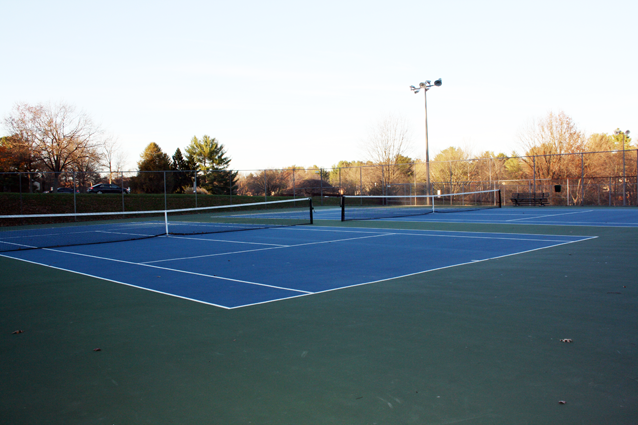 Recreation features at this location include tennis courts and a tot lot. Located in the Club Hill subdivision. This area features tennis courts and a tot lot. Located in the Courts of Whetstone, just off Centerway Road past the Professional Center. Recreation features at this community center include a basketball court, tennis courts and a tot lot. 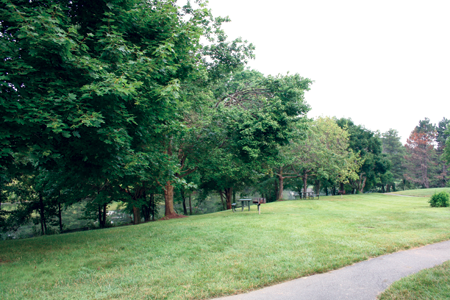 This 9.3-acre park is located north of Wightman Road. To the east and north of the park is the Highland Hall community; to the west are the Perry Place and Essex Place communities; and to the south is the Northgate Community Church. 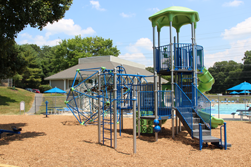 Facilities include playground areas, basketball courts, a ballfield, covered picnic areas, grills, paved paths and a parking lot.